We fit the best contact lens suited for your vision needs. Over 700 frames from Ray Ban, Michael Kors, Coach, and others! Michael Kors, Coach and Ray Ban that you will be proud to wear. Call or Text us at 440-255-7727 today. 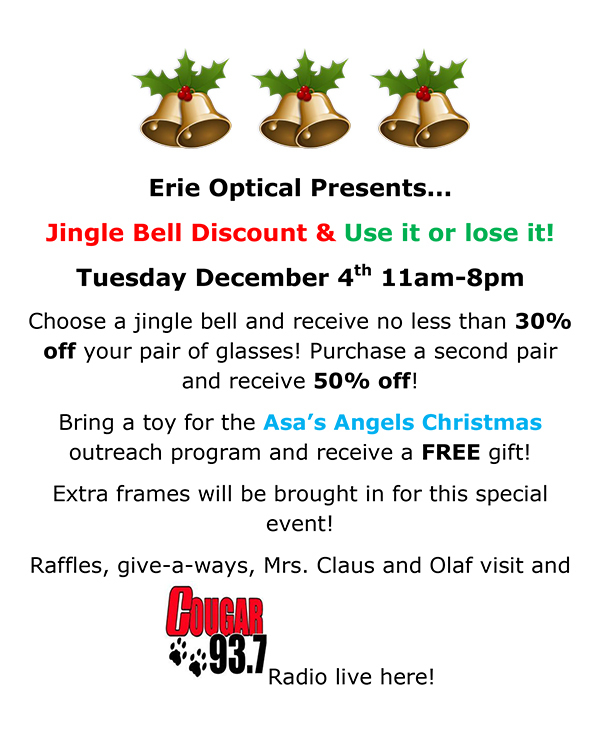 Located in Mentor Ohio, Erie Optical has been servicing the residents of Lake County for more than 50 years. Owner/Optometrist, Dr. Robert Waldman has been practicing Optometry for over 35 years. He provides eye examinations for glasses and contact lenses. He also manages eye infections, allergies, dry eye, ocular inflammation, as well as Lasik Co-management. We are a full service Optical with 2 licensed Opticians on staff. We have a selection of over 700 frames including such designers as Calvin Klein, Ray-Ban, Faragamo, Nine West, Callaway, Columbia, and others. We dispense lenses of the highest optical quality manufactured by Essilor of America. These include but are not limited to progressive no line multifocal, Transitions lenses that turn dark outside, and anti-glare lenses to improve driving at night and overall optical quality and comfort. Our staff is dedicated to providing a high level of service with no commissions or high-pressure sales. We invite you to read on to learn more about our practice history and the services we provide.